Odour Removal | Odor Treatment | RR Street & Co. Inc. Eliminating odors is a critical part of any cleaning professional’s job. Consumers expect their garments to be returned odor-free; it is one of the primary reasons that they bring items in to be cleaned. Street’s offers a range of products and processes for the successful treatment and removal of odours and smells whether for day to day cleaning or for professional restoration work. 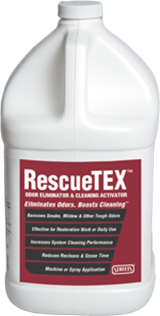 Scentless odour remover. For both restoration work & commercial cleaning. For use in wetcleaning, laundry, perc, hydrocarbon and hybrid solvents. Designed to meet the demands of restoration work. Fresh scent treatment. Effective on smoke & other odours, For use in wetcleaning, laundry, perc, hydrocarbon and hybrid solvents. 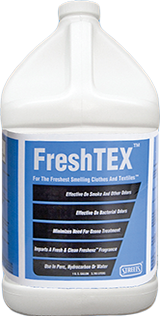 Imparts fresh and clean scent to clothes and textiles. Compatible will not interfere with additives, nor contribute to filter pressure.